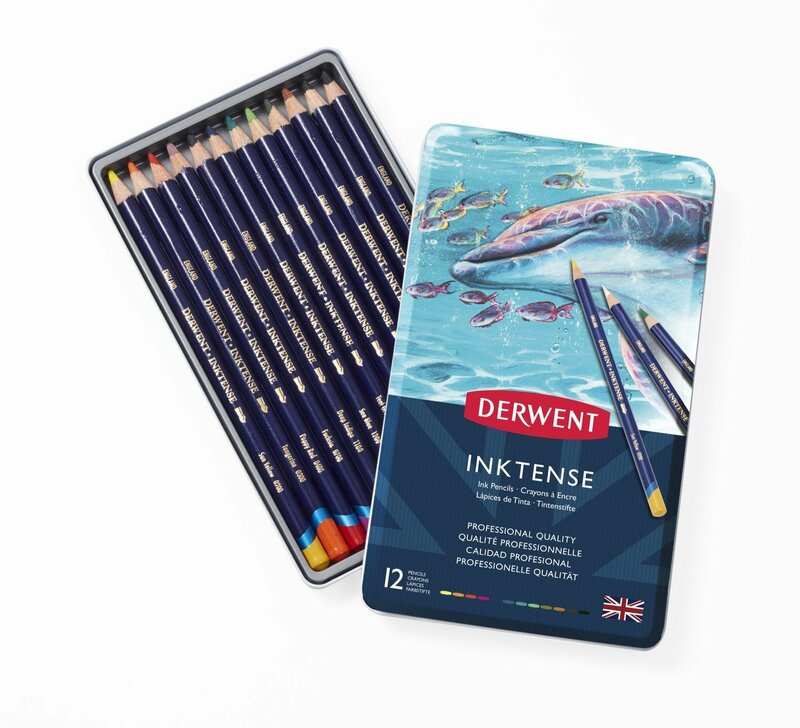 Derwent Inktense Pencils can be used dry but mix them with water and the colour turns into vibrant ink. Once it’s dry the colour is fixed and because its permanent it’s great for using on fabric such as silk and cotton. Contains Sun Yellow, Tangerine, Poppy Red, Fuchsia, Deep Indigo, Sea Blue, Teal Green, Apple Green, Leaf Green, Baked Earth, Bark and Ink Black.